DIPLOMAT’S A33 safety knife is a sturdy knife featuring a spring-loaded mechanism, which allows the heavy-duty utility blade to automatically retract into the knife. This knife has universal application and meets the industry requirements for the use of safety knives to reduce the risk of workplace accidents. 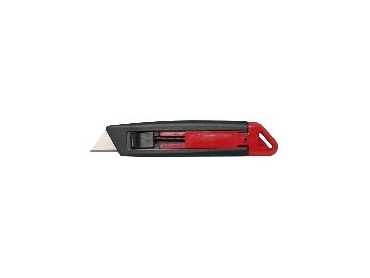 The A33 safety knife is easy to use and features a die-cast metal body, automatic spring-loaded blade retracting mechanism and is available in both right and left handed versions. It is very easy to change blades when required, as no tools are needed. Replacement blades are available in safety dispensers of 10.